In case you missed the news yesterday, Inquisition of Kozilek is back! Yes, IoK is being upgraded to a rare for its printing with brand-new art in Conspiracy: Take the Crown, aka Conspiracy 2. While cards from this set are not usually Modern-legal, this time we have a reprint that is obviously geared toward the Modern crowd. Moderners have been clamoring for a reprint of Inquisition for quite some time, and this will bring plenty of copies into the hands of players, despite being a rare. The rarity change shouldn’t be a big issue either—the Eternal Masters printing of Heritage Druid at rare nevertheless brought the price down a ton. Pre-Innistrad commons and uncommons are hard to come by, and when they get popular they get very expensive. This should help alleviate some of the supply issues with Inquisition of Kozilek. I’m expecting these copies of Inquisition to be between $2 and $5 by December. While we got one pretty high-profile reprint in Conspiracy: Take the Crown, I am not expecting to see many more. It’s not a Modern Masters set so there isn’t really a lot of incentive for Wizards to reprint more eternal staple cards in this set. The quirky draft cards are more than enough to sell it. At the Star City Games Open in Syracuse this past weekend, the talk of the town was Dredge. A lot of the Roanoke SCG guys were on the deck and Ross Merriam was able to take it to a win. What does this mean for short-term Modern prices? Well, next weekend is the SCG Invitational (which is split-format Modern and Standard) and then the following weekend is a triple Modern GP weekend in North America, Europe, and Asia. I have a feeling going into next week that people will have to dedicate more sideboard slots to beating Dredge. Expect this to put upward pressure on prices of anything that catches on. On the other hand, the cards in Dredge themselves are posting very high prices. If you’re not looking to play the deck yourself, now is a good time to move any extra copies you have lying around. Today I’ll cover some of the notable cards affected by Dredge’s rise. I’ll offer my thoughts on their effectiveness at combating Dredge strategically, as well as where I see their prices settling in the near-term. These cards have varying levels of effectiveness and playability, but they’re all proven players in combating Dredge and other graveyard shenanigans, both in Modern and in other formats. These are the best of the best, and as the go-to answers they should all see some price movement. Grafdigger’s Cage: Cage is by far the most flexible option. Being a one-mana artifact you can drop it into any deck’s sideboard and it is relatively good at containing Dredge. However, because Cage doesn’t actually interact with the graveyard itself it’s not a fool-proof plan. A timely Ancient Grudge, Abrupt Decay, or Nature’s Claim can take it out and lead to a flurry of action. This card is best for decks with a quick clock that can pressure Dredge. I’d recommend it in Affinity, Burn, Zoo, and other linear aggro decks. It also has some good applications against Nahiri, the Harbinger and Collected Company decks. The lowest price you can find Grafdigger’s Cage right now is $10.50, and with a top buylist price of $7.50 it’s clear that vendors have a positive outlook on the card. I wouldn’t be surprised to see Grafdigger’s Cage hitting $20 the weekend of Grand Prix Indianapolis if dredge has a good weekend at the Invitational. Now’s the time to pick these up if you’re inclined to play them. Rest in Peace: Rest in Peace is by far the most effective answer to anything Dredge is trying to do. It can’t be disrupted by any of their ways to deal with artifacts or enchantments. Unfortunately, it’s also a much more narrow card and is harder to fit in decks for its color requirement. If you play a slower deck like Jeskai Nahiri this card is much more up your alley than Cage. I also think it’s a better card to play in the Bant Eldrazi deck as they tend to kill a bit slower than most aggro decks. Buylists for Rest in Peace are currently only at $2.65, with it selling for nearly double at $4.50. Grafdigger’s Cage hails from Dark Ascension, a low-print-run set that only saw regular drafting for a short period. Rest in Peace, on the other hand, was printed in a large fall set, which means more copies floating around. I wouldn’t expect Rest in Peace to reach the $10 that Grafdigger’s Cage is at right now, but we should still see some solid growth over the next two weeks—a peak of $8 isn’t unreasonable. If you have a bunch of extra copies you will probably see some absurd buylist prices on the Friday before the Grand Prix. Leyline of the Void: Leyline is kind of like a combination of Grafdigger’s Cage and Rest in Peace. It’s difficult to cast like Rest in Peace but has the ability to slot into any deck like Cage if you don’t plan on paying for it. It’s a staple in the Dredge deck itself to beat the mirror match because it’s immune to everything except Nature’s Claim. Obviously if this doesn’t come down early it doesn’t do anything, but if it does it’s back breaking. If you’re playing a minimal-interaction deck like Ad Nauseam, Storm, or Living End, Leyline is likely your best way to get a free win. I’ve also seen it occasionally in Grixis decks (both Delver and Control/Midrange) that are running Snapcaster Mage. Cage is not plausible in those decks for obvious reasons. Last week, buylist prices on Leyline of the Void were as high as $8.50 and although they have simmered down to a more reasonable $6.50, the card still commands a $10+ price tag. I would not expect many vendors to be sold out in the next two weekends as people scramble to figure out how to beat Dredge. My expectation is that Leyline of the Void closely follows Grafdigger’s Cage in price. Primal Command: Primal Command‘s shuffle effect can be used to great effect in big-mana green decks. I’m probably going to be playing Elves this weekend and I will be packing a few copies of Primal Command and Scavenging Ooze to bring the pain. This card is also fairly straightforward to play in the R/G Valakut deck that took 2nd last week in Syracuse. While I don’t have high aspirations for a spike in Primal Command‘s price, it is a pretty good budget option if you’re only worried about preparing for the next couple weeks of tournaments. Hallowed Moonlight: Hallowed Moonlight can help exile a pile of pesky Amalgams, and is also a reasonable answer to a Living End, Through the Breach, Goryo’s Vengeance, Collected Company, or Eldritch Evolution. I think this is generally worse than Rest in Peace in most white decks but it is an instant which matters sometimes. It can be revealed to a Delver of Secrets and doesn’t turn your Snapcaster Mages into bad Ambush Vipers. It being mostly a Standard card means it should be cheap and relatively easy to find. As I mentioned above, several staples of the Dredge deck are unreasonably expensive right now. Even if Dredge remains a Tier 1 deck and continues to post high finishes, the ceiling for these cards just isn’t much higher. There are four in particular I’d be looking to offload (again, assuming you won’t need them to play): Prized Amalgam, Greater Gargadon, Bloodghast, and Bridge from Below. Prized Amalgam is a $4 in-print rare that hasn’t made any waves in Standard tournaments. Greater Gargadon was a bulk rare turned into $25 rare overnight. An extremely sluggish $5 buylist price on Gargadon tells me this price is not sustainable—certainly vendors feel that way. Bloodghast has been growing for the past year pretty steadily but is ready for a price correction. At nearly $30, it’s hard to see it keep climbing. Bridge from Below has been a steady $5 card until June, and now in August is all of a sudden $16. Spikes of that magnitude that hit this fast are rarely sustainable, and I think Bridge is no exception. Note as well that while Ross Merriam’s list ran the full four copies, Tom Ross elected to play just two—and non-Gargadon builds online have eschewed Bridge entirely. It’s not as good at setting up kills like in Legacy and we may see Dredge builds shedding copies or moving away from it completely. Hopefully that gives you an idea of the financial picture I see in store for our new Zombie overlords. If you have any questions, hit me up in the comments below. I’m also still waiting to hear more from our readers about where you’d like me to take this column. Let me know in the comments or on Twitter, and I’ll see you next week. I’m shocked other colorless options like Nihil Spellbomb (that one basically requires you to also have B, but still) and Relic of Progenitus weren’t mentioned. And what about Rakdos Charm? That one can punish Dredge players even after the creatures are already on the field. I’ll let Jim respond here too, but my understanding is he’s trying to cover the financially relevant cards. Spellbomb, Relic, and Rakdos Charm are all unlikely to see price changes since they’re relatively recent printings at lower rarities. That said, we’re trying to gauge just what kind of financial information our readers are interested in here at Modern Nexus. Obviously Quiet Speculation has access to a ton of expert analysts when it comes to the financial side of MTG, and Jim is one such example. We decided to bring him on at MN to provide insight for players looking to play Modern without breaking their bank. We’d love to hear your thoughts on this type of content (or suggestions for anything else). I certainly understand the point regarding financial relevance, but consider that the last time a deck really wanted Relic of Progenitus (the WB Eldrazi Processors deck in the distant mists of late 2015/early 2016), it jumped from <$2 to ~$5. 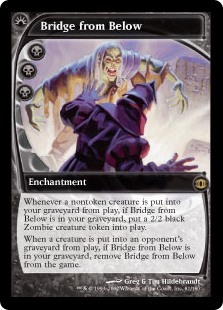 We could see a similar jump if it becomes the graveyard hate piece of choice – I understand that it was recently reprinted in Eternal Masters (which is why it's back to ~$2 again), but it's a card that has been printed several times (Shards of Alara, Modern Masters, 2014 Event Deck) and still spiked. Rakdos Charm may or may not stay cheap, despite having only been printed once, so that objection is well taken. What Jason says sums up most of how I feel. I will just add that Relic of Progenitus was printed *again* in Eternal Masters. Although it was in a lot of limited set releases its a well known card that is unlikely to find it’s way into someone’s closet. The extra supply should really keep the price in check as many people already own them. Fair enough. Thanks for the answer! I’m really enjoying this column so far! Do you think the rise in more decks like Dredge, Infect, and Bushwacker Zoo will impact Night of Soul’s Betrayal, or do you think that’s stabilized? Night of Soul’s Betrayal will probably never become a staple price point. Most of it’s value is in the rarity of the card and not the effectiveness. It will continue to climb as it avoids reprints but I expect it to come crashing down very quickly if it is reprinted. For an analogous, take a look at what the price of Burning Wish does over the next few months. 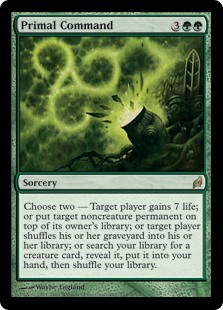 It was a low supply low demand card that is being reprinted in Conspiracy. You’re right, I was getting a bit wordy and I wanted to touch on my opinion of the most out of line price spikes. Golgari Grave Troll is the most powerful dredger and that won’t change so it’s unlikely to be worth a lot less in the coming months. I had missed the price of Conflagrate honestly. It’s definitely like Gargadon and due for some real whiplash back down to a reasonable price. Hey Jim. A bit off topic but would you mind sharing your Elves list? I haven’t finalized it but I can write an article about it in the future if you’d like. A card that is often forgotten as an option for grave hate on white decks is Wheel of Sun and Moon. It only screw the target’s grave, so it won’t hurt snapcasters. Wheel of Sun and Moon I feel like is just a worse version of Leyline of the Void. If you don’t draw it early it doesn’t do anything and it costs 2 mana which means the damage could have already been done. It doesn’t stop players from flashing back faithless looting to find an answer. Also it costing 2 mana means it’s able to be killed by abrupt decay where leyline isn’t. If you don’t draw either of those answers early then it’s a wash even if you can’t cast the leyline. well we now have show and tell, berserk… it follows the same pattern as conspiracy 1 : take a few legacy staples to add to the mix and drive eternal players interest into it. otherwise it feels to much like commander (eg. an independent format).